Travel agents help people make memories by organizing all the necessary things required for a trip and making it as easy as possible for their customers. 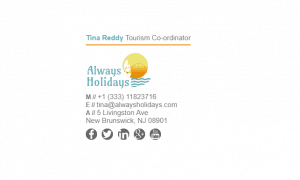 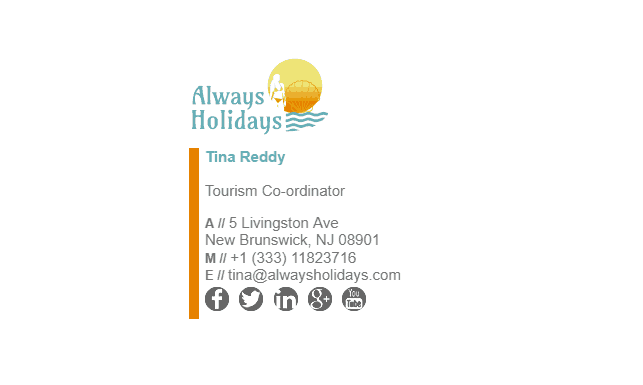 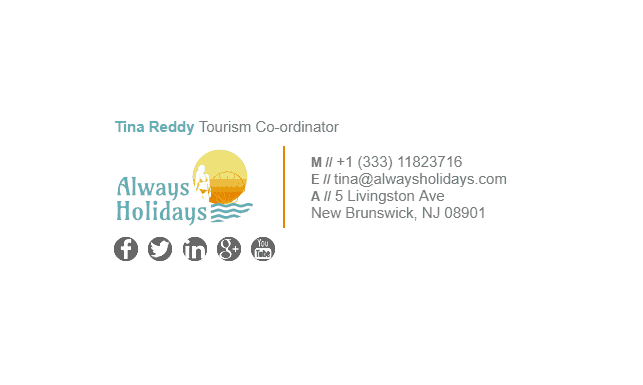 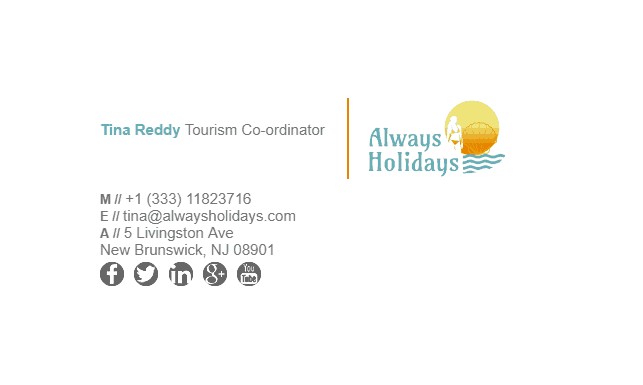 Travel agents are professionals that require an email signature so their customers can contact them if there are any problems when they are on their holiday and also if they need to make any changes to their schedule. 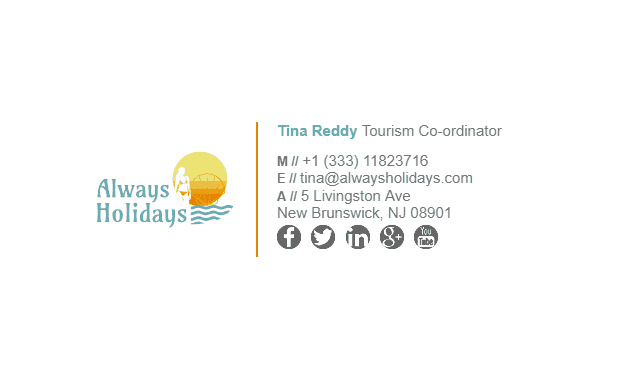 See below our travel agents email signature examples. 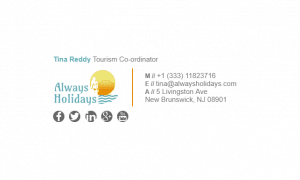 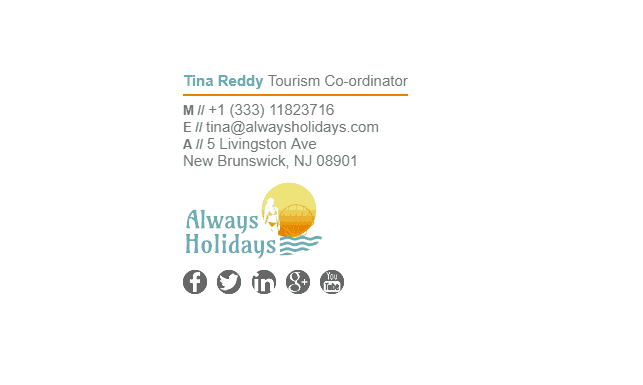 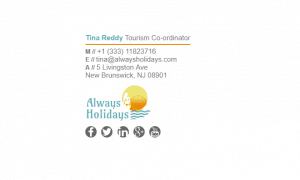 What Should Be Included in a Travel Agents Email Signature?